Zara's shoe department is perhaps the brand's most-loved section, as it has every major shoe trend covered. Even Bella Hadid is a fan, as last week she sidestepped her usual designer heels for a pair of $60 gingham platforms from Zara. 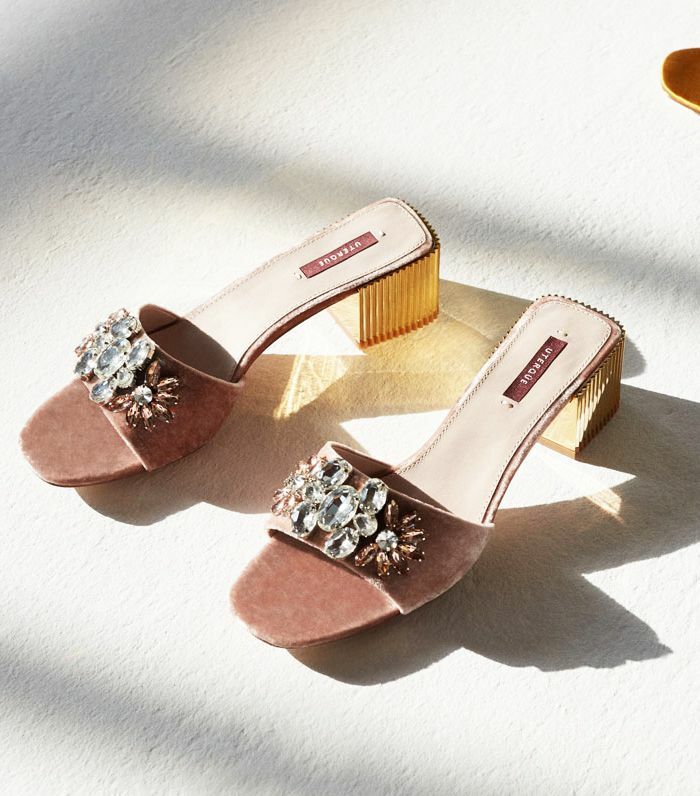 But Z isn't the only high-street brand with an on-fire shoe department, as there are three other shoe offerings that are making us go all Carrie Bradshaw. Scroll below to see the three high-street shoe departments rivaling Zara right now. If you're looking for crystal-encrusted pink-velvet, gold-heeled mules, Uterqüe is the place for you. The definition of Carrie Bradshaw shoes. These block-heel sandals are perfect for walking around all day. These also are available in black. The glossy finish makes these look especially expensive. These red suede shoes at & Other Stories keep selling out. We have it on good authority that these Mango heels have proven hugely popular with our readers. Yep, the toe-thong sandal is back in a big way. These have been a real hit with the Instagram set. Next up, see our edit of the best wedding guest dresses that stand out from the crowd.